There is no need to hassle with several vendors. 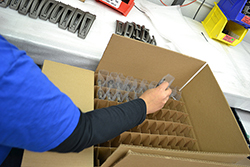 Why go to one vendor for machining, another for coating, and yet another for assembly and packaging? Let us eliminate those headaches by taking care of the necessary Machining, Grinding, Polishing, Assembly, and Kitting work your parts require. After exceeding your expectations on the quality of our finishing work, we'll assemble and package your product with the same care and attention to detail. Masking can be as simple as placing a plug into a single hole or it may require a specially made mask or fixture. A large hole in a large part will require very little labor while some smaller parts may have numerous spots that need masking and require much more labor. Whether it's a task big or small the employees at SIC can handle it all. Utilizing 3D Computer Aided Design Software SIC has designed and implemented custom masking in order to minimize labor, saving you money. 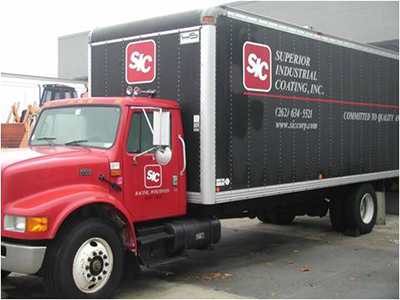 SIC has developed a process to repair voids in castings, from aluminum to magnesium. 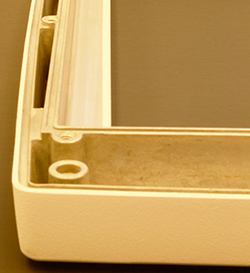 We can create, on such castings, a high cosmetic finish with the ultimate coating. Ideally located half way between Milwaukee and Chicago, our trucks can deliver parts in these markets daily. 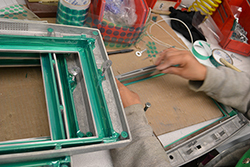 From surface prep to coating, assembly and packaging, we are your one stop finishing shop. Contact us today to learn how we can save you time, money, and headaches by doing it all for you.